Paris is beautiful every hour of the day but there is something incredibly magical about the city as the sun starts to set. 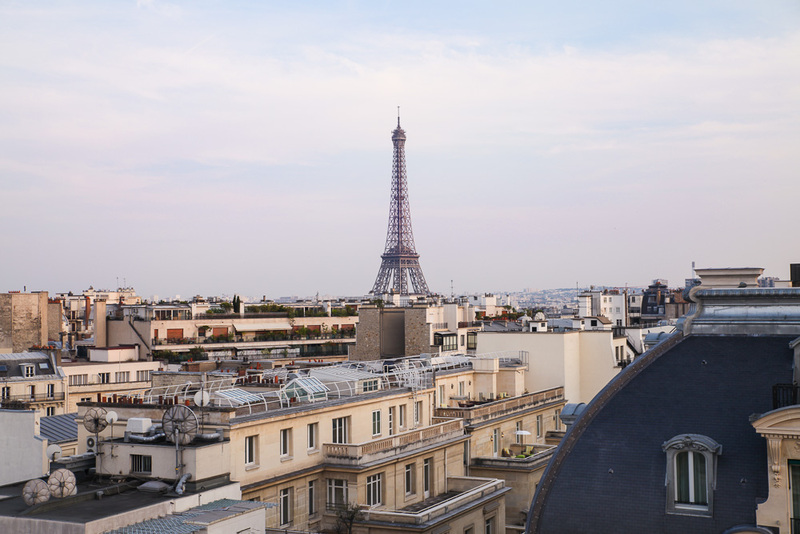 This guide has got all of the best vantage points covered; from high in the air to down on the ground, here are the locations you will find the best sunsets in Paris, guaranteed to take your breath away at golden hour. Sacré Cœur is the spot where the majority of tourists flock to watch the sunset in Paris and with good reason. The basilica is perched on top of one of Paris’ highest peaks therefore boasts unparalleled views over the whole city. This luxury hotel has one of the most beautiful rooftop terraces you’ll ever see. It’s an ideal place to catch the last rays of sun softly flickering behind the Parisian rooftops over a delicious cocktail or two. Located between the Eiffel Tower and the Arc de Triomphe the panoramic terrace offers astounding views of both of these iconic monuments. Not quite as well known by tourists but instead crowded with expats and Parisians picnicking and drinking al fresco. In my opinion it’s one of the merriest places to watch the sunset as the atmosphere is alive with laughter and music and every single person seems to be enjoying the moment. 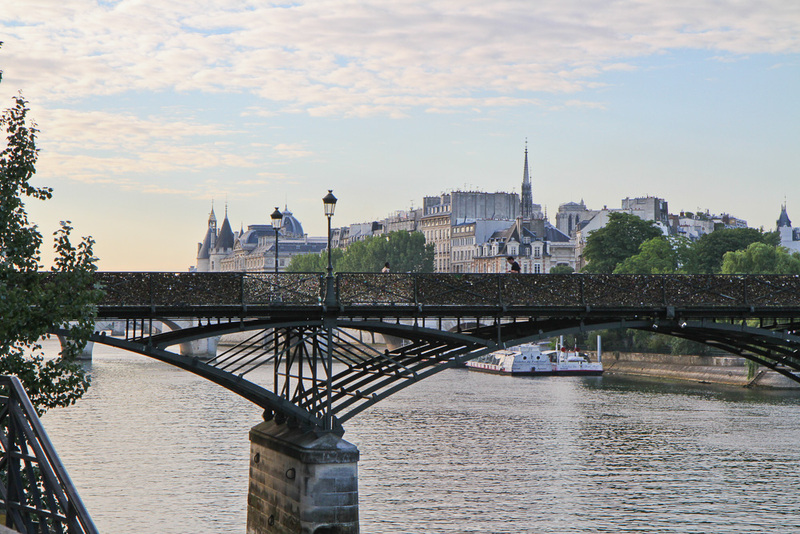 Sit right on the point where the island ends and take in the magical view of Pont des Arts with your feet dangling over the river. 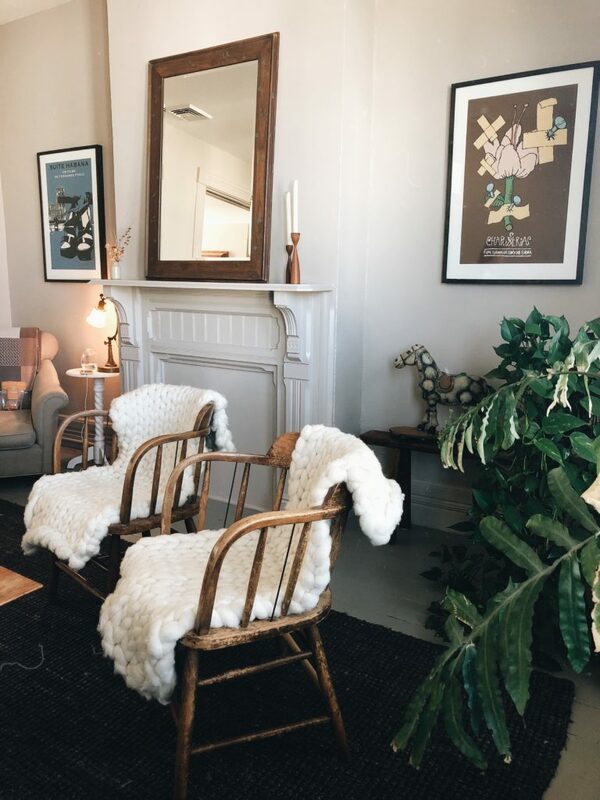 For the best view of the Eiffel Tower this should be your spot of choice. The iron lady has never looked so majestic than at sunset. It’s a beautiful moment when the sky changes from fiery red to pitch black and the Eiffel Tower sparkles for the first time that day. The Jardin des Tuileries is in the center of Paris and is a great place to watch the sunset as it is surrounded by some of Paris’ most iconic architecture. 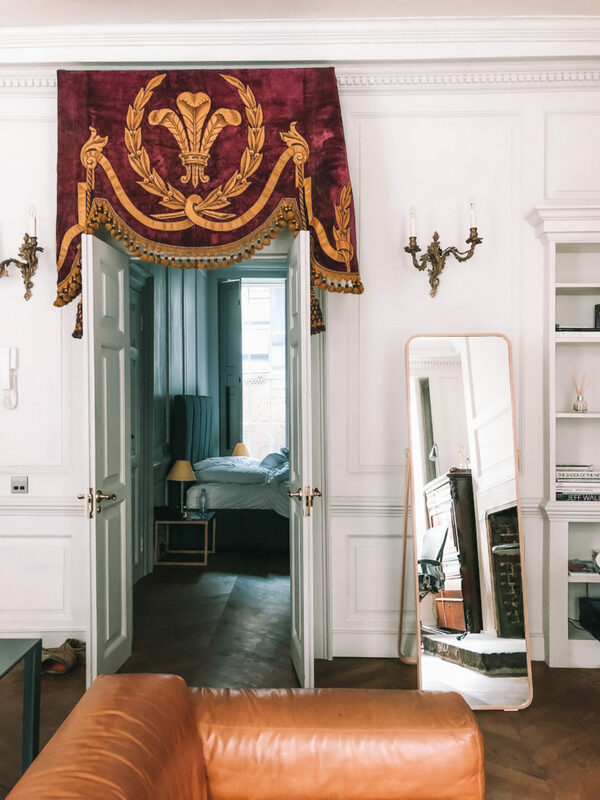 The gardens are framed by the Louvre, Place de la Concorde, Rue de Rivoli and the Musée d’Orsay so no matter which way you look there will be pretty Parisian architecture to admire. 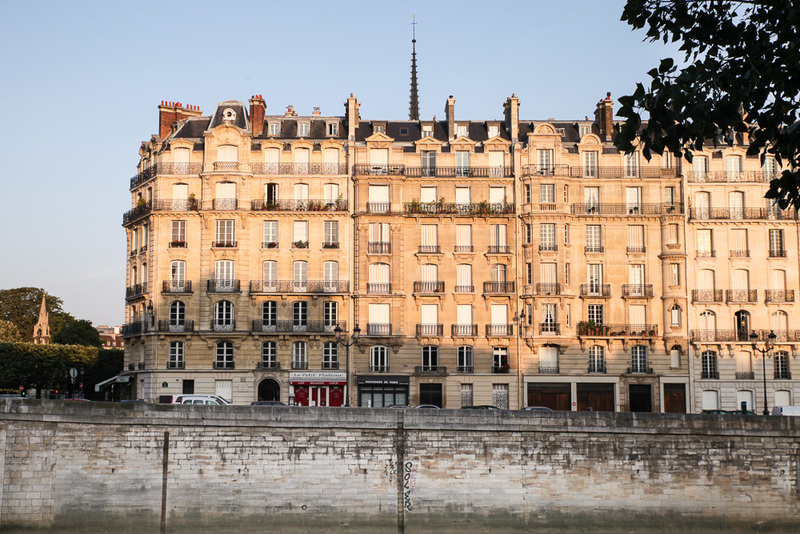 For the type of Parisian evening you see in the movies, head to the charming Ile Saint Louis. Stroll around the island and catch the dappled light dancing off the buildings. After the sun has set find a seat on one of the cafe terraces and order a glass of wine to be enjoyed over the soundtrack of live accordionists playing la vie en rose and other traditional French tunes. One of the most enchanting places to watch the sunset is along the banks of the Seine. 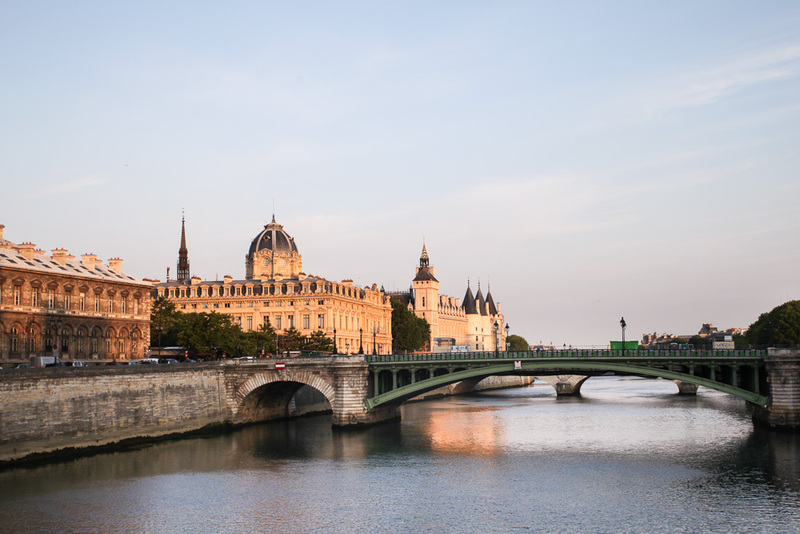 The Seine is romantic at any time of day but there is something particularly special about strolling along the river as the orange rays are reflected on the water. My husband and I flew into Paris for the start of our honeymoon last month. We watched the sunset by the Eiffel Tower. What made it so dreamy, besides the obvious, was the live music. This guy was playing the guitar and singing. We danced under the glowing Eiffel Tower to three of my favorite songs. Another couple joined us. It was awesome. There is something about golden hour that just takes my breath away. I love sunsets! When I was in Paris, I was just sitting under the Eiffel Tower. 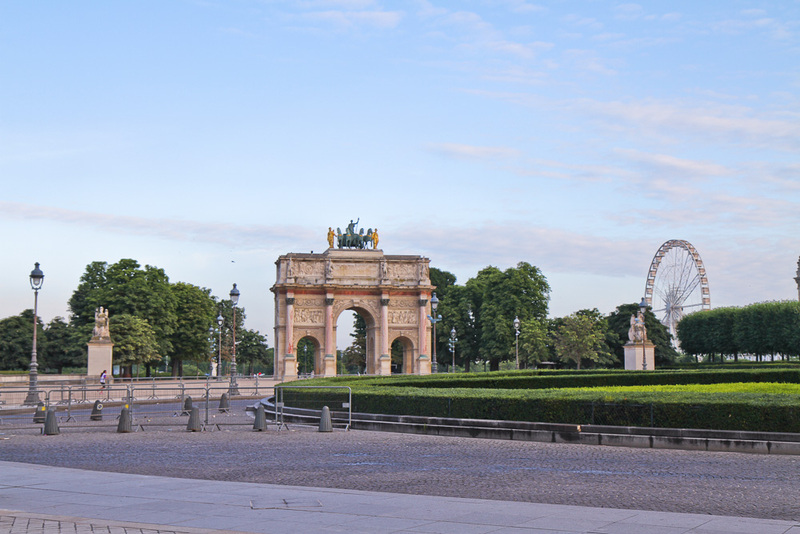 But that view from Place du Trocadéro looks way cooler. Luckily, a sunset works its magic regardless. 🙂 Thanks for sharing! Ah, Paris <3 What is not to love? When I went to Paris I was blown away by the view at Sacré Cœur. I now wish we had stayed to see the sun set. What a gorgeous photo! The Sacre Coeur has the best view of Paris full stop! It’s so magical and you could spend the whole afternoon and night up there. 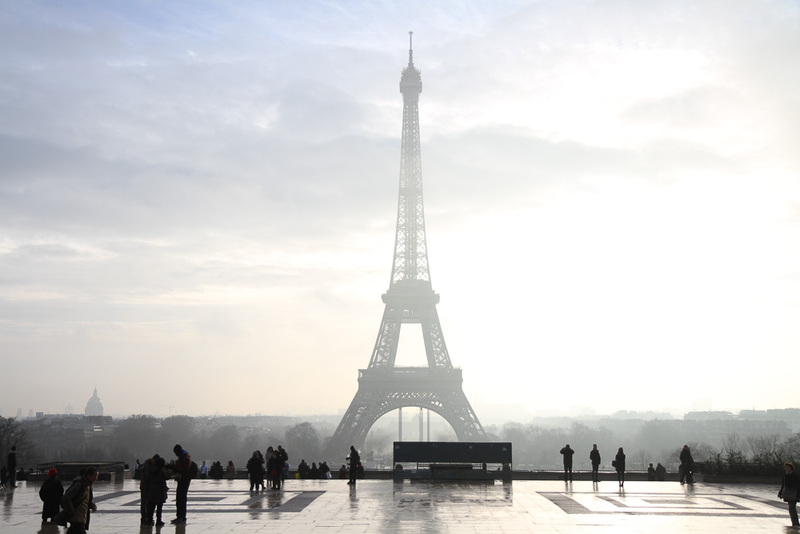 Paris is so picturesque, any view you have of that beauitufl city is breathtaking! 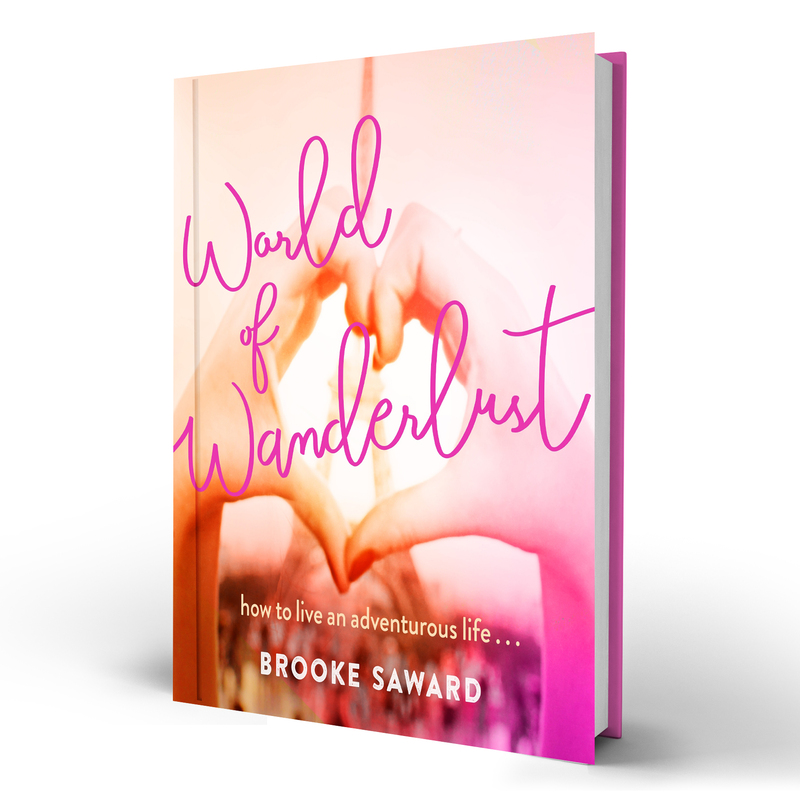 THIS POST IS ONE OF MY FAVORITE SO FAR! 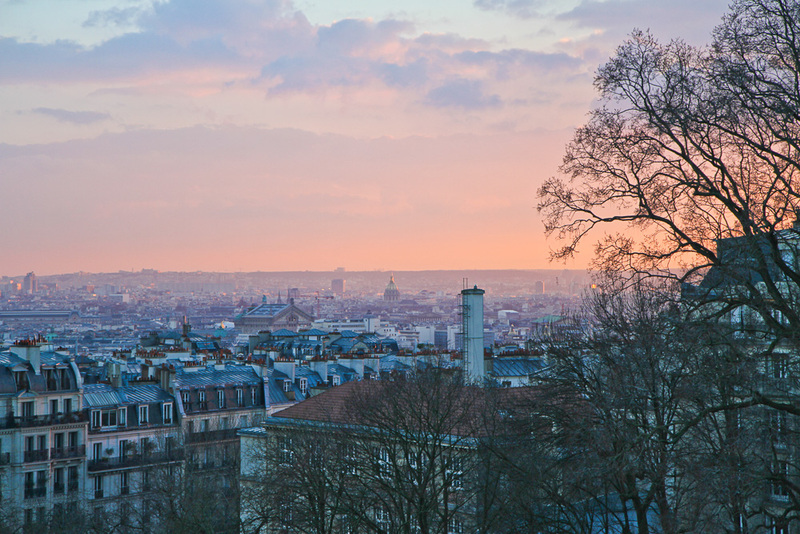 Beautiful photos — SO excited to see Paris sunsets for myself next year. Thanks for sharing! !